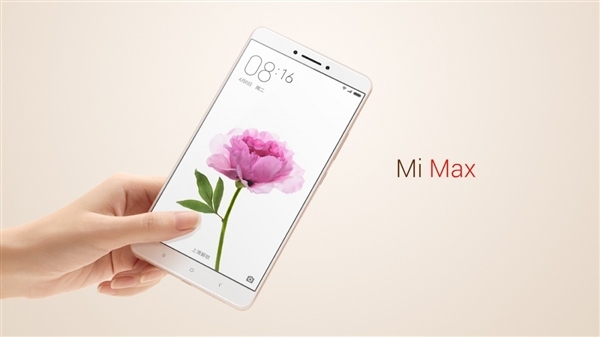 Xiaomi MI Max, predecessor to the Max 2. Xiaomi are set to announce the launch of the MI Max 2 on May 25. The phablet, formerly expected to host the new Snapdragon 660, is now likely to ship with the entry-level Snapdragon 626 instead. Chinese OEM Xiaomi are set to announce the launch of the second iteration on their phablet product line, the MI Max 2, on the 25th of May. Sometime last month, the device was spotted on GFXBench with the moniker "Xiaomi Oxygen", and was expected to ship with the Snapdragon 660 before that. Recent information has made that assumption much less likely, with many now expecting the lower-performing Snapdragon 626. This downgrade in SoC has a precedent, as the OEM previously made the slide down from the Snapdragon 650 on the Redmi Note 3 Pro, to the Snapdragon 625 on the Redmi Note 4, a change that tells a compelling story of Xiaomi's efforts to find a balance between performance and battery life. Much like its elder sibling, the Max 2 is expected to sport a 6.44" FHD display. The phablet may also ship in two versions, a 4GB one and a higher 6GB variant, with both versions expected to house 128GB of internal storage. A 12MP Sony camera on the rear and a 5MP shooter selfie camera sweeten up the deal on a device that may decide Xiaomi's success in this market space. Fans will be holding out hopes for the teased Snapdragon 660, though, and Xiaomi would do well to have a rethink.